When buying a rangefinder you need to look at certain aspects in order to find one that fits your needs best. At first, you may ask yourself questions like: Can’t I use a golf rangefinder for hunting? Well theoretically you can, but here the details come in. Since we are talking about a measuring device, aspects like distance, priority and aiming points are the most important. With regards to distance, the capabilities vary greatly depending on many factors like lens quality, lens size, brand, and most importantly, weather conditions. For example, a certain rangefinder’s specs may state that the maximum readable distance the unit is capable of is 1000 yards. Now that may be true under ideal conditions but if you add fog, snow, bright sun, rain or a small target, you can easily find that the range drastically dropped by a couple hundred yards or even more. So consider this when looking for range power. First priority rangefinders are mostly used on the golf track, mainly because there is a clear field of view with nothing between you and the flag. These are mostly used for hunting and in some cases archery. They are designed to ignore the first objects in the field of view and tell the distance of the farthest object. In this situations, laser rangefinders will also come in practical because they make it easy to switch between the first and second priority. Nowadays most manufacturers migrated to the laser technology since it’s more flexible, but there are still enough dedicated ones for both priority types. When looking through the rangefinder the small crosshair or circle that you see is the aiming point. You can find reticles that are made of LED lights which are bright and make the rangefinder usable during night-time but quite weak in bright days, others that are made of black lines that are the opposite of LED ones, and some that have a backlight and generally these give you the freedom to use them at night-time too. Choosing one is a matter of finding an answer to specific needs and conditions, but not last, a matter of taste as well. Now that we made it clear what are the most important aspects to look for at a rangefinder let’s get to the devices themselves and help you choose one that fits your needs best. 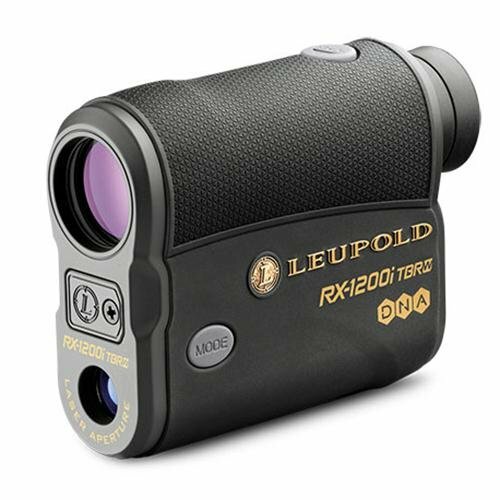 The Leupold RX-1200i is a great piece of gear to take with you in most situations due to many aspects including it’s a laser rangefinder so it has adjustable priority focus. Then the OLED display has a manual intensity adjustment mechanism that makes it easy to change the display’s lighting when weather conditions call for it. 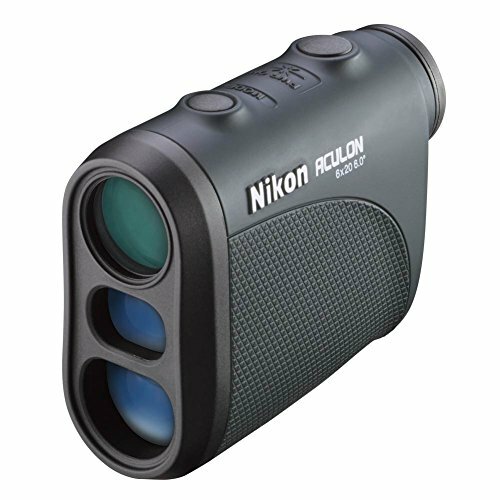 It has a 6X magnification with a wide field of view to help you track any movement, the linear field of view is coming with a great angle of 1000 yards and a minimum range of 10 yards. The eyecups are a fold-down rubber type that is really comfortable for the eye, and it also features a DNA technology that provides quick and accurate readings. As said in the beginning this rangefinder is great for use in different environments partially due to the three modes that have the following abbreviations: LOS which stands for Line of Sight and it means that the device will return the direct distance to the target without the angle factored in, BOW stands for archery mode and will return angle compensated yardage out to 125 yards and TBR which is the rifle mode. The angle compensated yardage is provided by the built-in inclinometer. The built is solid at a weight of 7.8 oz and the materials are high quality, actually this particular model being assembled in the USA as far as I know. So quality is certainly not a concern. Sure it is not as suitable for a certain domain as when compared to a dedicated rangefinder, for example, when at the shooting range, but if you want a great rangefinder that will do the job just fine in any environment this is certainly the choice to make. Depending where you buy this rangefinder from, in the box, you will probably get a carrying strap, a carrying case, a microfiber cloth to clean the lens, the rangefinder itself and a CR2 battery. At 3.6 X 2.9 X 1.5 inches the Nikon Aculon is a pretty compact rangefinder and can be easily carried everywhere, having a weight of only 5.6 ounces. It offers accurate readings for up to 550 yards, and it comes pre-programmed from the factory in the Distant Target Priority Mode, but this can be changed. 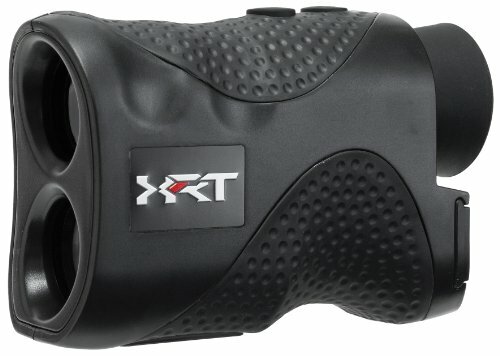 Other specifications include: Multi-coated quality optics, an LCD display, a 6.0X magnification power, 1-yard increment readings, a simple one-touch activation button that emits the ranging laser, and a weatherproof and rainproof construction that will help when you find yourself in harsh environments and carrying about the rangefinder is your least concern. Since this is a more general purpose rangefinder in the lower price range, it won’t be as excellent as a dedicated one in a specific field, but considering the price and quality it still is an incredibly good pick if you consider buying it. Leica Rangemaster CRF is a true masterpiece. It has one of the best range powers available on the market, being capable of determining distances up to 1600 yards, high-quality optics from Leica which is one of the best companies in the world in the optics branch and high-quality materials are just some strong points of the Leica Rangemaster CRF 1600-B. It features superior optics with outstanding image brightness and quality even at long distances, having a 6.6-degree angle of view for easy target identification. The lens surface is protected by the AquaDura coating which helps to protect against moisture and other substances gather on the lens. A newly developed ABC intelligent ballistics program integrates data for the angle of inclination, barometric pressure and temperature for extremely precise readings, a thing you won’t easily find on another rangefinder. – Function 1: With a classic reticle, the point-of-impact correction is enforced by factors of elevation adjustments. -Function 2: The point-of-impact correction is enforced by click adjustments with fast reticle adjustments. -Function 3: With a ballistic reticle, level area distance information is provided by taking into consideration the temperature, barometric pressure, and angle of inclination. At a weight of 7.7 oz and dimensions of 4.5 X 2.5 X 1.25 inches (W X H X D), it is pretty easy to handle and carry around. It has a rubber foldout eyecup that is comfortable to the eye, a carbon-reinforced plastic waterproof body for up to 3.2 feet water depth resistance and a magnesium chassis. 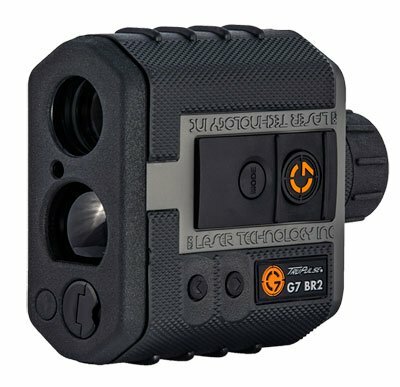 For the money, you will get a high-quality adaptable laser rangefinder with lots of great features to help you save time and get your job done with professionalism. Buy it! You won’t be disappointed. The Bushnell Tour V3 Jolt Standard Edition Golf is a great companion to take when at the golf field. As most important features it has a 1000 yard range performance, a Pin Seeker technology with Jolt Vibration, a Scan mode that provides updated LCD display information, and a compact design that provides good grip. The PinSeeker Technology allows easy track of the flag without capturing background target distances. When more than one object is in sight, the closer of the two is shown on the display. The Jolt Technology delivers short vibrating bursts to ensure that the laser has locked onto the flag. These two technologies make the Bushnell Tour V3 Jolt particularly better for golf than other rangefinders that don’t have these technologies. Now all the requirements are great for golf that’s for sure, but there’s a catch. A legal one. The law you will surely stumble upon when going in tournaments, states that only certain rangefinder and devices can be legally used for calculating distances. And here the Bushnell passes the legal requirements, giving you the freedom to use it in tournaments as well, a great thing considering that some of your competitors may not know this, and bring an illegal one with them that automatically gives you an advantage. 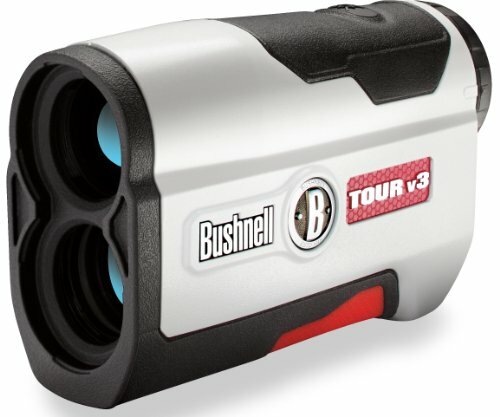 The Bushnell Tour V3 Jolt is the perfect piece when both going in tournaments or just ordinary golf matches and can improve your shots like never before, still being at a decent price. 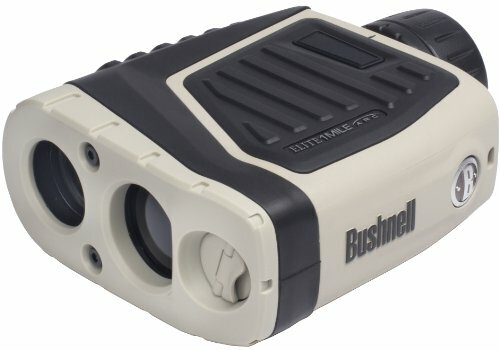 If you need a great golf rangefinder you can buy the Bushnell with confidence. Since 1983, Simmons has established itself as a leader in high-quality rifle scopes, binoculars and of course rangefinders. 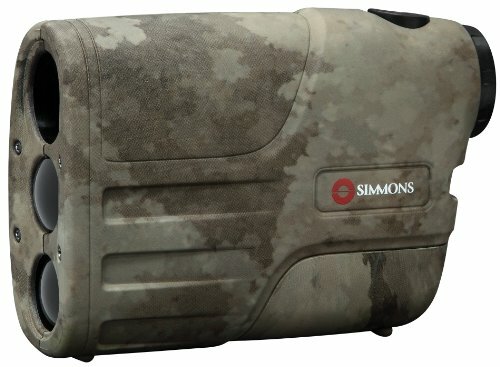 The Simmons LRF rangefinder features a powerful optical 4X magnification, an in-view liquid crystal display, a 10 to 600 yards distance power, and a simple one button operation. It has a weight of 7.7 ounces and measures 4.2 X 3.6 X 1.9 inches making it suitable for most pockets. The casing is sturdy enough to protect the device from occasional bumps, it is water resistant so you can use it with confidence during rainy weather. Also, the camouflage assures you that you won’t be easily spotted by your prey. Its strong point besides the accurate readings is the great ease of use due to its single button that operates most commands. And this is an important thing when hunting, mainly because you don’t have much time before the animal runs away. 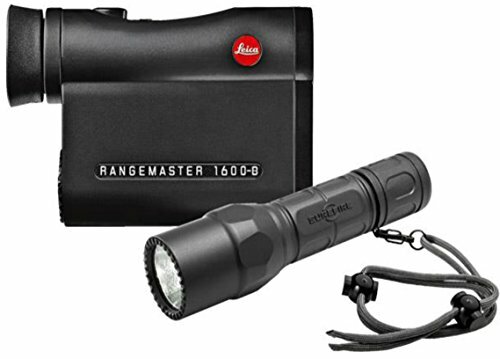 It doesn’t have all the bells and whistles of other more expensive ones, but at the price, it is the best rangefinder for hunting and it will surely be a great device if you consider buying it. 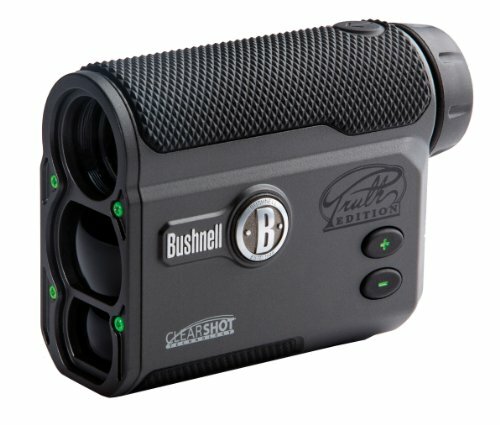 This Bushnell The Truth Arc is the true bowman’s companion for many reasons. In a nutshell, it has a ClearShot technology which I will talk about in a minute, a maximum range of 850 yards, a 4X magnification, rainproof casing, an angle range of -90 to +90 degrees, an anti-slip grip finish, and an ARC which is an angle range compensation. The ClearShot technology is basically an instantaneous feedback on your shot clearance system designed by Bushnell, which is a must for archery men that need constant readings of the target, and it has a rangefinder accuracy of +/- 1 yard. Also, The ARC technology is an abbreviation for Angle Range Compensation. Altogether it’s a great bow rangefinder and is a sure hit for your money. Hop off and make the purchase with confidence knowing that the Bushnell The Truth ARC won’t fail you. Cheap doesn’t always mean bad. And that’s exactly the case with the Wildgame Innovations Halo XRT laser rangefinder. It has great specs and a great feel for the money you are going to spend on it. And with the ability to range several targets at a time, it will give you the information you need in no time. It features a reasonable 400-yard distance reading power, a 6X magnification, a 24mm objective lens, an LCD display with aiming reticle, and 6X24 optics with anti-fog coatings on eye lens. Speaking of design and feel it has ergonomic finger rests, a rubber eyecup for added comfort, non-slip rubber gripping surfaces, water-resistant exterior, and great feel in the hand. It comes with a lens cloth, carry case, and lanyard which is nice considering that otherwise spending money on those accessories separately would cost you another let’s say $50. Great device for the money, the Wildgame Halo XRT is an excellent buy if you are looking for a cheap rangefinder that gets the job done. The build quality and other aspects concerning quality should not worry you because this is a thoroughly tested product made by a reputable company. The rubbery exterior is perfect for good grips and the lens are specially treated for delivering best results. You can check out more on Amazon’s website if you are more into technical specifications. Overall I would recommend this hunting rangefinder if you want reliability, quality, and value for the money because you get quite a lot for your money. The Gunwerks G7 BR2 Rangefinder is the best when speaking of the maximum range which is 2000 yards, feature that generally is very important for army men and shooting range environments. The rangefinder is programmed for several ballistic parameters that are unique to your cartridge and firearm. The ballistic calculations are powered by the advanced G7 ballistic engine, that uses precise algorithms which are configured to allow high-speed real-time estimations. Basically, the rangefinder incorporates a ballistic computer that in tandem produces very accurate predictions for the route of your bullet. The housing is one of the highest quality available on the market, featuring a GoreTex membrane. Also, the adjustable twist-up eyecup is very comfortable. At 5.09 X 4.45 X 2.10 inches this piece won’t really be a pocket sized rangefinder, but certainly an easy to carry one. Speaking of more technical aspects, it has three targeting modes: near, far and continuous, the display is illuminated by a Backlight LED, it uses CR 123 batteries, it has a beam divergence of 2X4 milliradian (which is 1/1000 of a radian), and a very handy five different cartridge combos: Ballistic Coefficient, Muzzle Velocity, Sight Height, Temperature, and Altitude. Finally, the icing on the cake is the wind compensation function which is an incredibly important factor for far shots. The MOA wind correction values are calculated and are shown on the display for different wind values. This is the ultimate rangefinder for military, shooting range, and in general, anyone who wants to use the gun with surgical precision. If you are one of the described above the Gunwerks G7 BR2 is starting to look like what you truly need. With all the variety available on the market, it is clear that finding a distance measuring device that is perfect for your activities is not a hard thing anymore. Enough with „just fine” devices. You deserve the best in the branch no matter if it’s golf, hunting, or maybe army. Therefore, we hope you found what you were looking for.